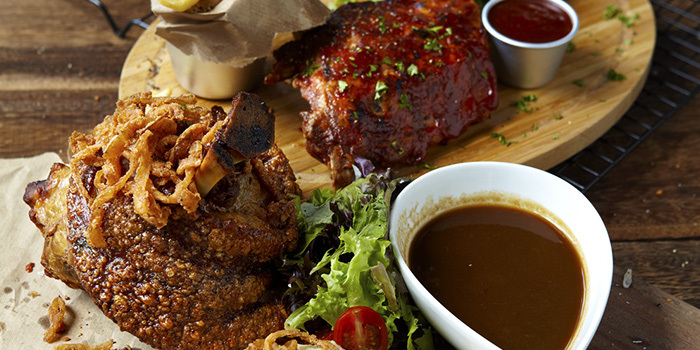 The grand dame of German hangouts here in Singapore, Paulaner Brauhaus is the only German microbrewery in Singapore, and has been delighting Singaporeans with its superb, full-bodied beers for years. The Brauhaus is also a stellar Bavarian restaurant, churning out plates of meaty German favourites to go with those beers, as well as heaps of friendly German “Geselligkeit,” or “sociability”. 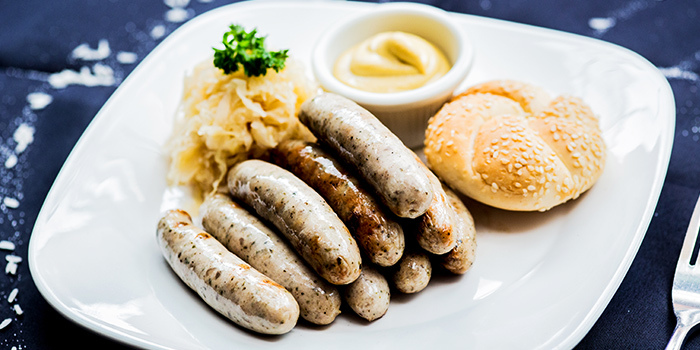 Channeling an authentic German tavern, the trappings here are gorgeous and rustic, and usher you into a truly German experience. The food does the rest. 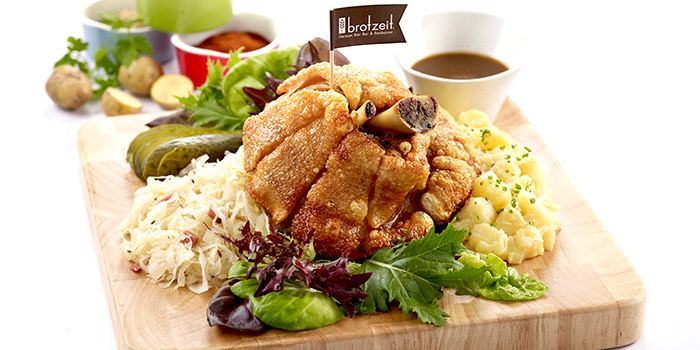 The great classics of the cuisine are all here, including a massive Roasted Whole Pork Knuckle on the bone, served with tart Sauerkraut and Bavarian bread dumplings. There’s also German meatloaf, called Leberkas, served grilled with a side of fresh cucumber salad, a sunny side up egg, and rich Bavarian mustard. Deep from the heart of Bavaria comes the Beef Beer Goulash, a rich beef stew given extra layers of flavour by some dark beer, served with mounds of Bavarian egg noodles to soak up all that delicious gravy. 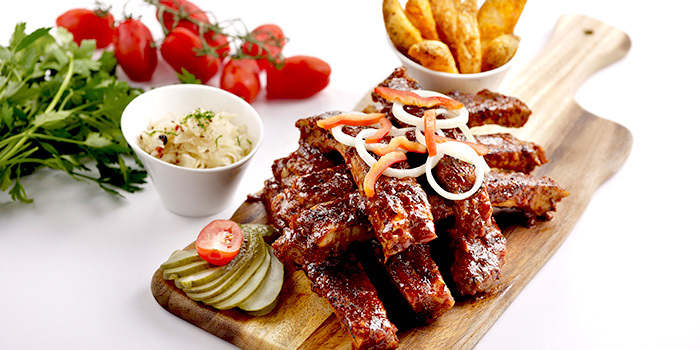 Kindly note that reservations are only for Paulaner Bräuhaus' Restaurant on level 2.